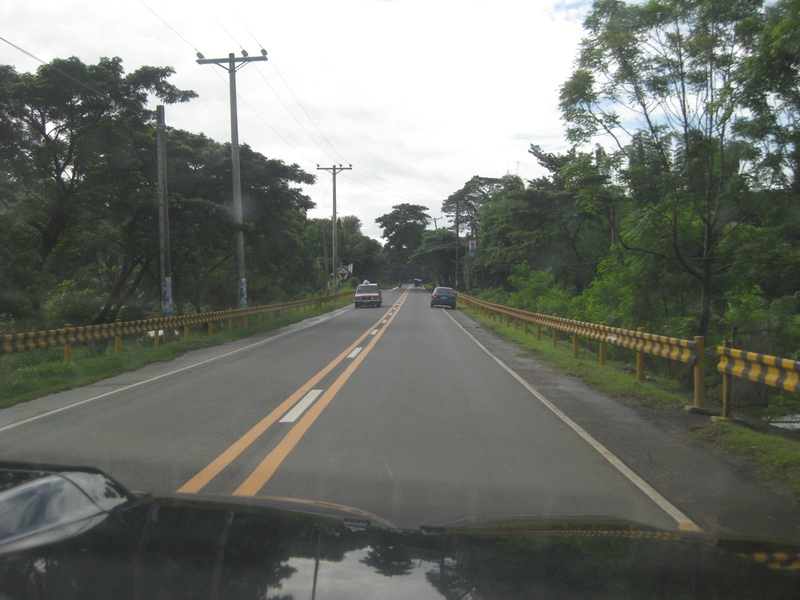 Following are photos I took on the way to Naga City starting with a few along roads in the Province of Rizal. 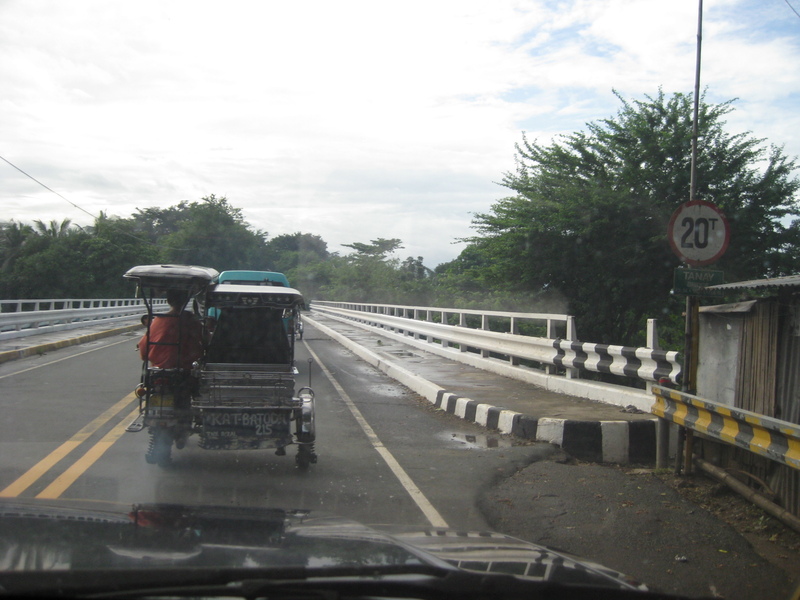 Jeepneys and tricycles remain the most common modes of transport along highways although the latter are supposed to be banned from using national roads. 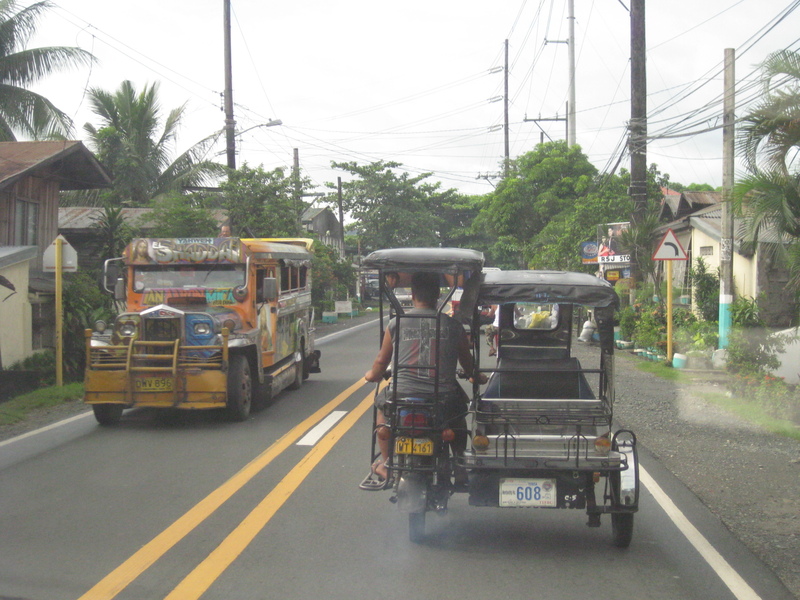 Most national roads pass through towns so it is somewhat inevitable for tricycles to used them. Adding to the problem is the fact that most national roads do not have shoulders or space where tricycles or pedicabs (non-motorized version of tricycles) can pull off from the road to let traffic through. 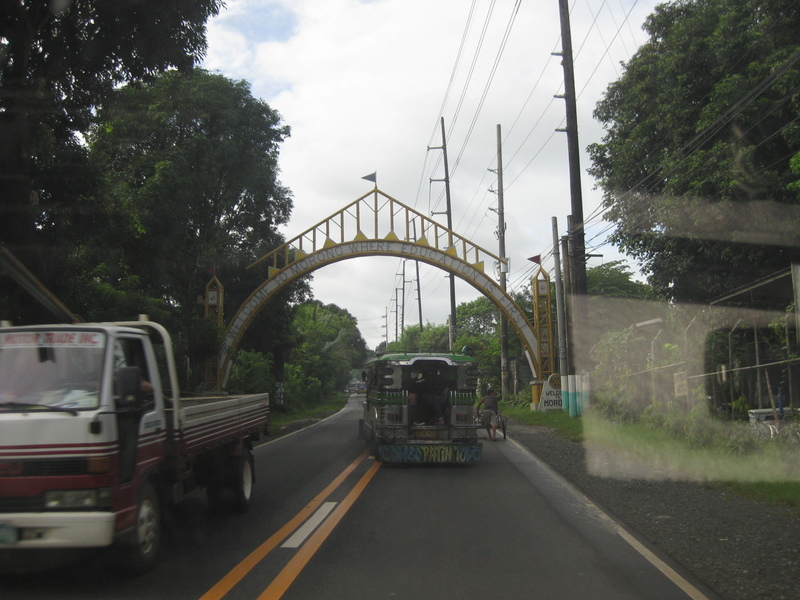 Like most highways in the Philippines, arches greet and say farewell to travelers as they cross town boundaries. Above is a simple arch at Morong, Rizal. 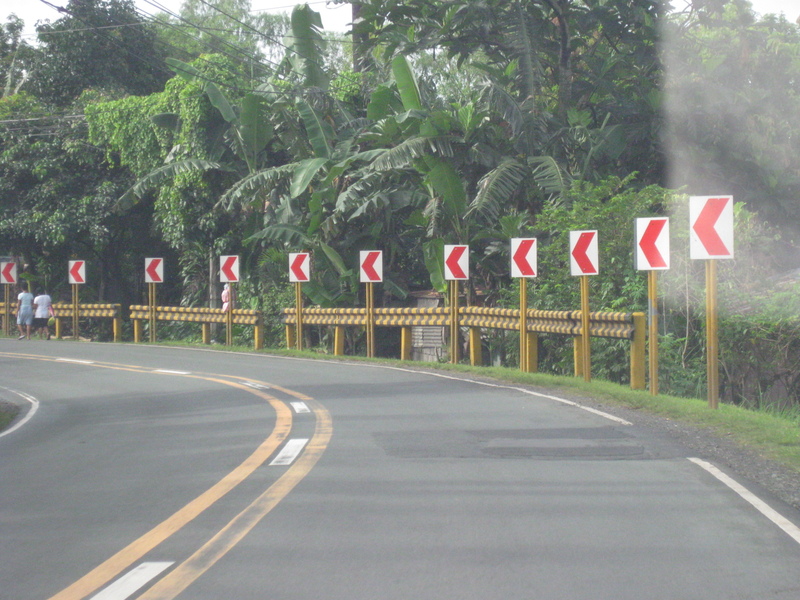 Chevrons along curve section – most Rizal roads have standard signs and road markings. As far as I could remember, these were adequate rather than excessive. The DPWH only needs to maintain these and make sure signs are not vandalized or stolen (Yes, there are cases where they are taken as trophies! ), or obstructed by flora. Most road sections have good quality pavement complete with markings signs and barriers where applicable. 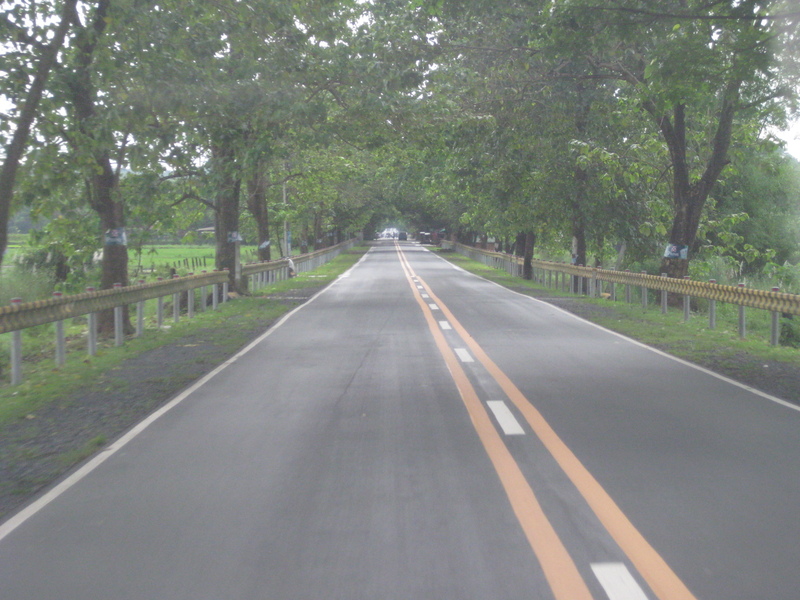 This tree lined section is somewhere along the road from Tanay to Baras. These roads often provide good sight distance allowing for drivers to ascertain whether they can successfully pass a slower moving vehicle. Despite the straight, level section in the photo above, however, pavement markings indicate a restriction for overtaking or passing. This is perhaps the result of road crash experience in the area. Note that such straight, level sections may have a negative effect on drivers as they may actually encourage speeding. The problem, of course, is how to enforce such regulations as indicated by pavement markings. Double yellows are strictly enforced in other countries where highway patrol are deployed strategically to enforce the rule and help curb the potential and actual crashes. Bridges also have standard signs and markings. This one taken at the approach to a bridge in Tanay. 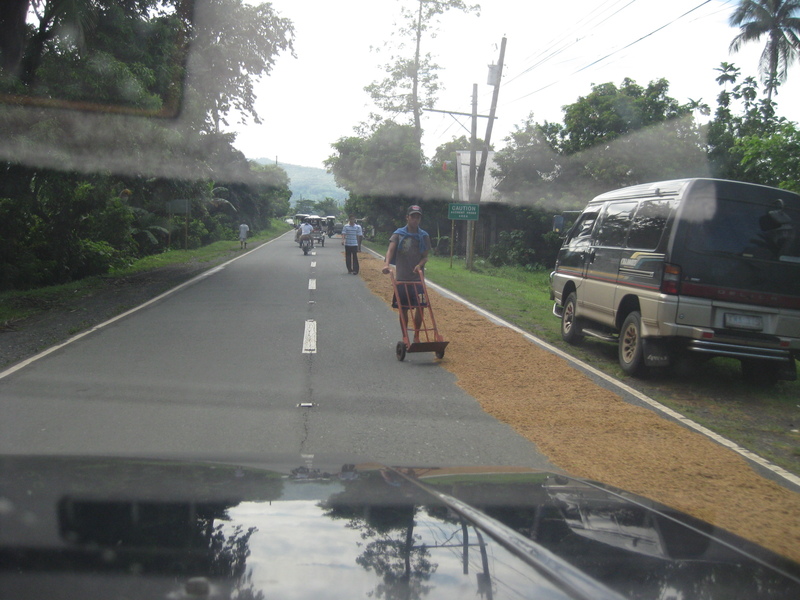 Many roads are used as solar dryers for products such as rice (palay not bigas), fish, and sticks (for barbecue, fishballs, etc.). While tolerated for highways with very low traffic, these are always hazards and often take up significant road space like what is shown in the photo above. A better set-up is found in other areas where shoulders are also paved and these are where farmers or fishermen lay out their products to dry rather than along the carriageway. By d0ctrine in Highways and Streets, Infrastructure on September 26, 2011 .